Were you recently in an accident and filed a claim for your vehicle? 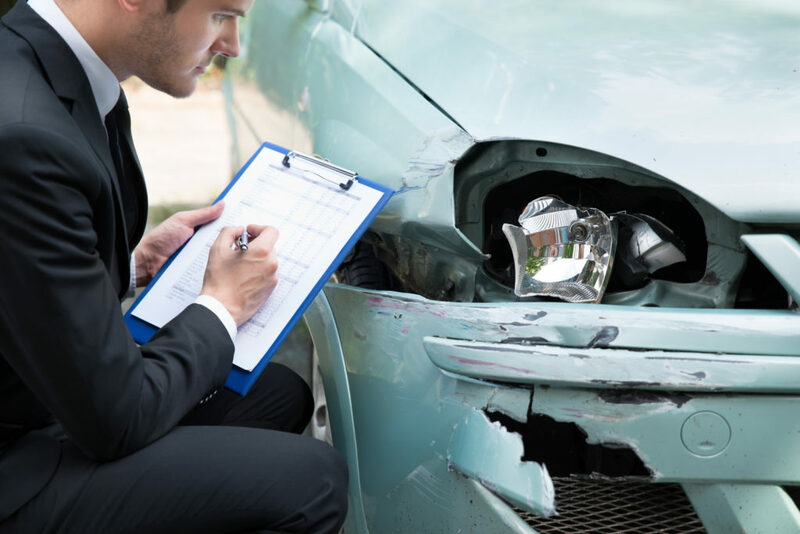 Check out these tips for dealing with automobile insurance adjusters to get more for your claim. In 2017, insurers paid more than 160 billion dollars for auto claims. When it’s time to file a claim, many people feel stress and doubt. And, there are many reasons claimants have doubts about dealing with insurance companies. After all, we all know they want to pay out as little as possible. Automobile insurance adjusters must keep costs low. But, this doesn’t mean claimants cannot get what is due them. Just as insurance companies have rights, so do you. Insurance policies are contracts that should cover your losses. But, those contracts are not always that clear. These tips will help you understand the process and help you get more for your claim. A claims adjuster works for the insurance company. This person gathers information, reports, and statements and verifies coverage for the accident. If there are injuries, the adjuster must also gather hospital and doctor’s information. Once all the information is available, the adjuster and a manager assign a dollar amount to the claim. The amount is what the adjuster recommends the insurance company should pay, and it’s not fixed. In fact, some claims can remain open for years. An adjuster is not a doctor or an attorney. They gather information from each professional to weigh opinions on the total cost of the claim. They cannot render a diagnosis or provide legal advice. In fact, there are decisions on record against adjusters whose lousy advice made it to court. In effect, they were “practicing law” without a license. Before any claim enters negotiation of payment, a thorough investigation must take place. “Good faith” claims handling requires the gathering of statements from claimants and witnesses. Also, police reports, pictures, videos, and other documentation as available. This work is to be impartial with no predictions until the investigator accounts for all the facts. Every party to the claim provides a statement for the claims adjuster. For a claimant, this can seem a high stakes step in the process. Each witness will have their own interpretation of events. Whenever fault for an accident is at issue, bias can influence the facts. And, very few people will admit it at the scene of an accident. Understand that statements alone are not enough to establish fault. Once all the information is on record, the adjuster assigns an amount to the claim. They rely on historical data, rather than the individual details. Claim payments over time go into a national database. The database assists insurance companies in arriving at their offer. Though some people may believe the offer stands no matter what, this is not true. It is essential to ask what determines the amount. And, to ask for the documentation. If you were in a car accident and sustained an injury, the most important thing you can do is save. Save every bill and receipt. If you suffer lost wages, pay stubs should be available for the adjuster. If you are without transportation for a length of time, these costs should also be clear. Any expense related to the accident or injury should be sent to the claims adjuster. Your costs due to your accident can reach into the future as well. Some injuries have long recovery times and therapy. You may need to buy another car if yours is a total loss. If you are unable to return to work for some time, this can cost thousands. Indeed, future costs can outweigh immediate bills. You can prepare to ask for full compensation by documenting the entire cost of your claim. After all your documentation, you find the offer falls short of your needs. And, some losses that are not verifiable with a document. For example, your injury has kept you from enjoying your family. You may be unable to do the things that make you happy. As a result, you have lost a part of your life. An insurance policy does not cover this. Compensation for pain and suffering is available only through litigation. In a perfect scenario, the offer from the insurance company will cover all your costs. The contract you have with your insurance company is a promise. The company must return you to the same state as before the accident occurred. But, many times the final offer from the insurance adjuster falls short. If you are not happy with the amount, the automobile insurance adjuster cannot force you to accept it. Automobile insurance adjusters must settle a claims quick and for the lowest cost. If you are ever in doubt that you are not getting what’s fair, you have the right to ask questions. Attorneys are on staff for insurers and medical providers. And there are times when an insurance claim attorney should be on hand to represent you. In some cases, higher offers to settle materialize without going to court. And, many attorneys will offer services at no cost, taking only a percentage of the settlement. You’ll want to look back at your claim as an unfortunate incident. It should not be an event that leaves you in worse shape than when you started. We offer advice on everything from business to fashion. Check out our blog for more news you need.